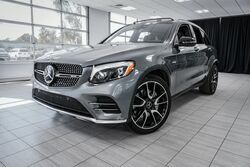 Mercedes-Benz of Scottsdale is the original Mercedes-Benz dealer in Arizona and we are conveniently located in Scottsdale in the East Phoenix area. We have a brand new facility, and it is ready to show you all the wonderful new Mercedes-Benz that we have on offer. We are right across from the Scottsdale Fashion Square in Maricopa County. Mercedes-Benz is an exclusive brand that represents the pinnacle of automotive engineering and luxury . Our location frequently boasts over 200 new Mercedes-Benz that are all just waiting for you to drive you into an exclusive lifestyle. If you are looking at something in the pre-owned category, then we can fulfill your desires with a certified pre-owned Mercedes-Benz that is still representative of the quality and the luxury that you have come to expect from the Mercedes-Benz name. We offer Mercedes-Benz that goes far above and beyond your typical service center. We will give your car the respect and honor that it deserves. We offer our customers free shuttle service throughout the East Phoenix area, and we have over 80 brand new courtesy vehicles for you to use, so that you can still go about your day and go about it in style. If you would prefer to wait, then you can take advantage of our complete service café with full-time hostesses and complimentary gourmet cappuccino. We have several quiet luxurious lounge areas that will make you feel right at home. We even have limo service. Come visit us and browse through our climate controlled showroom today. A premium brand like Mercedes-Benz cannot be serviced by just anybody. You need Master Certified Technicians who know how to handle the Mercedes-Benz brand. 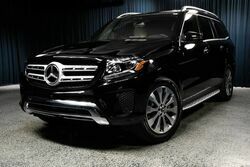 If you are in Scottsdale, then you really need the team at Mercedes-Benz of Scottsdale. They have years and years of experience working on Mercedes-Benz vehicles. They can handle the latest technology with relative ease, and they will always follow proper Mercedes-Benz repair procedures. Even if you need something as simple as an oil change, our team will take care of it the right way. We have the right tools, the right equipment, and the right people to handle any service or repair task for your Mercedes-Benz. At Mercedes-Benz of Scottsdale, we give you the respect you deserve. You can take advantage of several luxuries while you are waiting for your service to be completed. With our team on the job, you can rest assured that everything will be done properly, promptly, and for the price you were quoted. Let Mercedes-Benz of Scottsdale get to work for you in Scottsdale. Every Mercedes-Benz part is specially engineered for the vehicle that it resides in. For that reason, if a part fails, or reaches the end of its life, it’s important to make sure that it is replaced with one of equal quality. It is the only way to ensure that your Mercedes-Benz will provide the level of performance that it was designed to. Here at Mercedes-Benz of Scottsdale, we carry genuine, licensed Mercedes-Benz parts, which means that you don’t have to wait for parts to get shipped over to you. If you’re in the Scottsdale area, we have exactly what you need right in your backyard. We even make it possible for you to place an order on our website. How’s that for convenience? I must have visited at least 30 dealerships and no one was able to offer the service that Steve Williams of Scottsdale was able to provide. He found the exact car I was looking for and was able to pull it off a shipping boat and get it shipped to their dealership. The experience was amazing, he gave me a great deal and even put a bow on the car. I highly recommend this dealership and most of all Steve Williams! I could have been more ecstatic about driving my E-450 convertible out of that ... dealership. Also a big plus is their customer waiting area, they have drinks and snacks which is an awesome touch! I came here looking for parts for my fairly old (98) C230. I can fully prepared to be laughed out per the Scottsdale high-class stereotype. I was instead treated very well with the same service expertise and attention as if I owned a current model car. The staff was very friendly and kind. 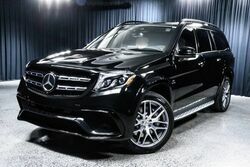 My next car will definitely be a modern Mercedes.